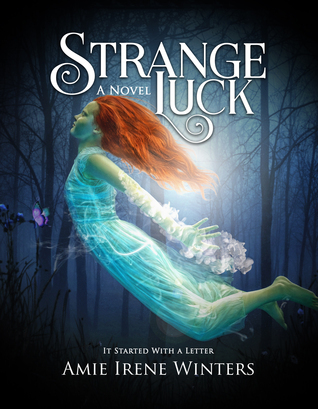 Strange Luck  is a thought-provoking story about Daisy Darling and her adventures as she discovers just how precious memories are. This well-written book is full of creative spins, although the plot relies heavily on convenience and luck. The characters have constantly shifting personalities that help advance the storyline, and there is not enough explanation to the supernatural world. Despite this, Strange Luck will get your mind turning. It is a quick and easy read, with an original take on what makes a world perfect. The characters have relatable personalities and aspirations that establish more of a connection for readers. I recommend this children's book for any young audience who enjoys the fantasy genre. 1)  It has a creative plot, and the author is constantly introducing more twists to the story. 2)  The writing style is simplistic and approachable. 1)  The characters have inconsistent personalities which quickly change for the purpose of moving the plot forward. For example, Daisy’s best friend, introduced as a kind and caring person, easily switches into a mean personality to force the plot to move onward. 2)  The supernatural world is not explained as when and how you can see it. I'm really liking the concept behind this one but I'm a little iffy when plots have too many conveniences and everything seems to tilt in favor of whatever the characters are doing. Nice review, I like how you broke it up into positives and negatives. Thank you! I'm the same way with conveniences, I enjoy watching characters overcome challenges and grow. Great review! The plot does sound really interesting and different. It's too bad that the supernatural world isn't thoroughly explained though. Thanks! I agree, the book would have been better with some more explanation.